With so many activities, appointments, deadlines, meetings and commitments to manage, families need a solid organization system to make the most of each day. Here are some of our favorite tips for keeping busy families more organized and less stressed. Place a wall-mounted calendar in a common area, such as the kitchen or family room, and include every family member's schedule and chore list for the week or month. Use different colors to code each family member's entries. At a glance, each person will know everyone else's schedule, resulting in less confusion about whose soccer game is on Saturday and who won't be available to babysit on Friday. Place a large basket near the most accessible door to collect library books, video rentals, mail, dry cleaning, and items to be donated or delivered. The next time someone is heading out to run errands, they can simply check the items in the basket. Likewise, set up a bin near the stairwell to collect items that need to go upstairs or downstairs. Don't get caught in an avalanche of paper. Catch paperwork as it comes into the house by setting up a system near the main entrance of your home. Use stacking letter trays and organize by family member to collect mail, notes and reminders or school forms that need Mom or Dad's signature. Each family member should check their "in box" each afternoon and every morning. 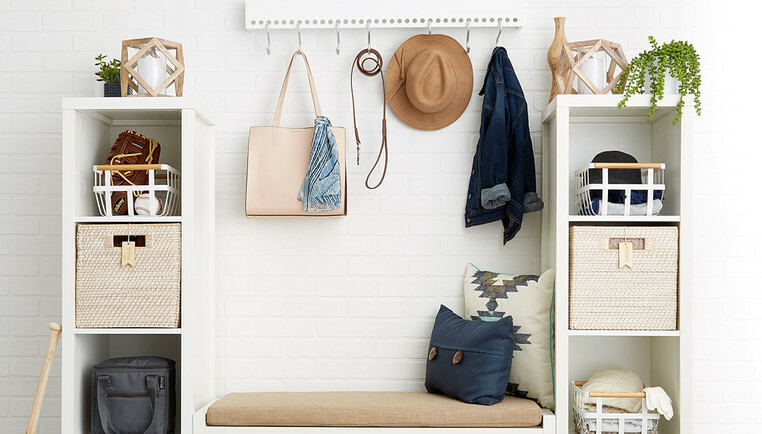 Install hooks in a high-traffic area of the house to store keys and avoid any last-minute scavenger hunts for house and car keys. Involve the children and plan lunch menus a week in advance. Pack lunch boxes and sacks the night before a school day to save valuable morning time. Like adults, if kids' closets are organized, they will have an easier time getting ready in the morning. Encourage kids to keep shoes off the floor by utilizing small-pocket hanging shoe bags; lower closet rods so kids can easily access hanging clothes; install door-mounted solutions to hang belts, hats, hair accessories and scarves; and provide plenty of drawer space for folded clothes and toys. Develop a file containing important documents for each child, such as report cards and medical records. Keep a list of all family errands on a single piece of paper or in a notebook, so that you'll be more apt to accomplish everything in one trip.